The New York Times best-selling author of The Map of Time returns with a mesmerizing novel casting H.G. Wells in a leading role, as the extraterrestrial invasion featured in The War of the Worlds is turned into a bizarre reality. A love story serves as backdrop for The Map of the Sky when New York socialite Emma Harlow agrees to marry millionaire Montgomery Gilmore, but only if he accepts her audacious challenge: to reproduce the extraterrestrial invasion featured in Wells's War of the Worlds. What follows are three brilliantly interconnected plots to create a breathtaking tale of time travel and mystery, replete with cameos by a young Edgar Allan Poe, and Captain Shackleton and Charles Winslow from The Map of Time. Praised for "lyrical storytelling and a rich attention to detail" (Library Journal, starred review), Palma again achieves the high standard set by The Map of Time. 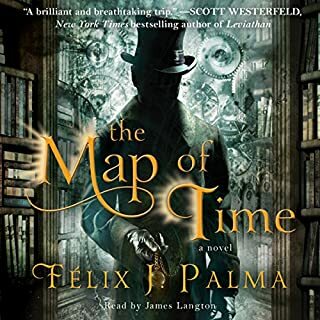 Felix J. Palma's first novel, The Map of Time, was a clever, charming story full of surprises, well-written characters and a wonderful mix of history and fiction. It used H.G. 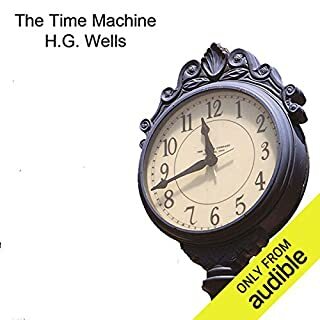 Wells classic novel, The Time Machine as a launching point and Wells himself as a character. Wells is back in this sequel, which draws upon another of his most famous novels, The War of the Worlds, for inspiration. Unfortunately, while the first book was clever and inspired, this novel was more like a bad Hollywood sequel. It tries too hard to replicate the experience of the first book and consequently feels forced and labored from start to finish. It was a 22+ hour slog. In his effort to deliver the kind of unexpected surprises he gave readers in The Map of Time, the author pushes too far, repeatedly forcing the issue. 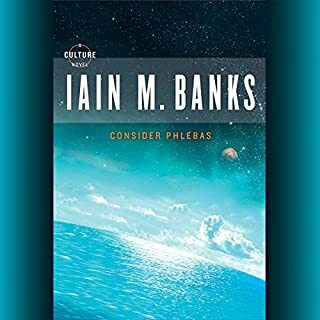 The surprises feel labored and at one point, he thoroughly betrays the reader's trust in way he probably thought was clever and playful but was, in reality, so disappointing that I almost bailed on the book immediately after finishing that chapter. In the end, maybe that would have been a good idea. Palma is a talented writer and I'm hoping he'll put that talent to better use on his next book and leave the themes and characters of his first two behind. I was interested in the idea of the plot from the get go but it took a while before I realized I was hooked. I don't plan to purchase any more of Felix J. Palma's audibles but did enjoy this one. What could Felix J. Palma have done to make this a more enjoyable book for you? Get rid of the tongue-in-cheek tone. If you could play editor, what scene or scenes would you have cut from The Map of the Sky? I listened to the first 2 hours. Most of it could have been cut. Getting Wells drunk seemed dumb, and that seemed to be the point of the whole section. Egad! I now know how long eternity is. The time spent on listening to this book seemed to never end. I asked myself on 3 or 4 occasions, why am I still listening to this? It just seems to me that this work was printed from the authors rough draft notes and bypast the editor, altogether. I did like my introduction to James Langton and appreciated his performance but I don't know if I am able to buy another work of Felix J. Palma. 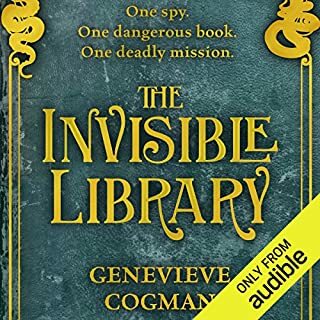 Good narration but way too long! I loved Palma's first book that played with truth vs. fiction. This one has some of that but it tries to do too much, and takes way too long to do it. Similar actions and events are described over and over, or the same event is described by different characters without adding anything. A shorter book would have been much more effective. Also while the overall tone of the first book was positive, some of this one is very grim. 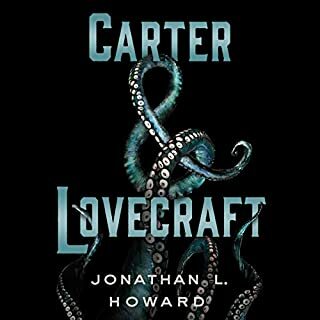 The narrator did a fine job with the various characters but the book itself was disappointing. 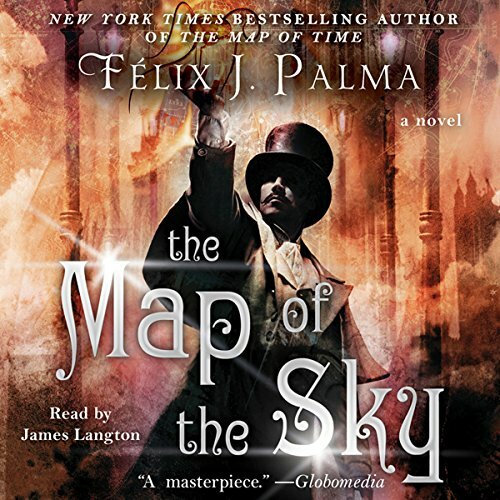 Where does The Map of the Sky rank among all the audiobooks you’ve listened to so far? While not my favorite story, I know The Map of the Sky is among the most memorable. The Map of Time was a light-hearted frolic compared to this dark story. Felix J. Palma weaves a horrifying "What if" tale, and James Langton's narration is spot on. Jame's Langton's voice never distracts from the character whose words he is reciting. The Map of the Sky left me feeling as though I need another "The Map of'" book. The story could have used tighter editing. It drags a lot. I like James Langton as a narrator. A good read, but not spellbinding. Would you listen to The Map of the Sky again? Why? This is the first time I have read this author. I put him on my 3rd tier of preferred authors. Almost any book is worth reading. This includes "The map of the sky" which I would rate as worthy but not by any means exciting and stimulating. The story moved very slowly at first and so it took me awhile to get into it. I almost gave up, but it does pick-up and develops into a good story. It is an interesting take on the work of H G Wells. If you are a fan of Wells stick with the story. It is worth it in the end. 3/4 done and it's tedious and flat. Would you try another book from Felix J. Palma and/or James Langton? 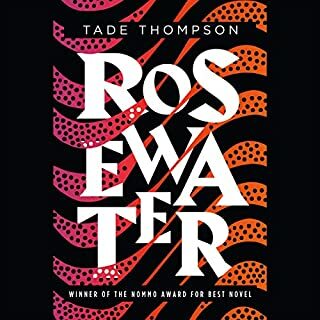 Has The Map of the Sky turned you off from other books in this genre? What aspect of James Langton’s performance would you have changed? He did his best with material that had characters who were tedious and too drawn out. The concept was great, but I found the book way too long, not that exciting and confusing for a good part of it. It could have been a great sci-fi, time travel, but it dragged on and on.